Sanctuary at Cobbs Landing homes Located within Cobb's Landing in a desirable section of Palm Harbor, The Sanctuary is an upscale community of luxurious real estate property. Various homes for sale in the Sanctuary at Cobb's Landing are waterfront with access to Lake Tarpon. Spacious theater rooms, prestigious studies, state of the art fitness rooms, and gourmet kitchens are just a few of the custom amenities found in these opulent homes throughout Sanctuary at Cobbs Landing. 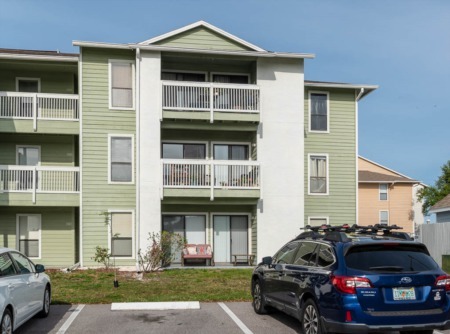 The awesome views of Lake Tarpon and the beautiful trees surrounding the homes give the neighborhood of Sanctuary at Cobbs Landing the peace and tranquility it possesses. The Sanctuary is made up of enormous four, five, and six bedroom single family homes built in the 1980s with breathtaking entrance foyers, striking staircases, and must-see decor. With volume ceilings and skylights, Sanctuary offers a tremendous amount of living space anywhere between 3200 and just about 9000 remarkable square feet. The community of Sanctuary at Cobb's Landing features for its homeowners and their guests, a park, a playground, tennis courts, and lake access. 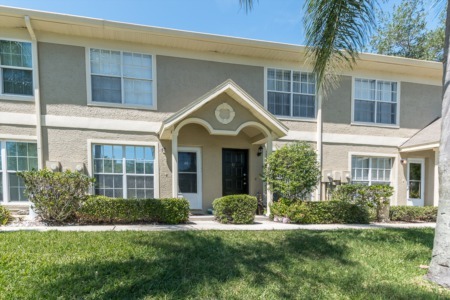 Close to everything, popular golf courses, the Pinellas Trail, and beautiful pristine parks, The Sanctuary has it all. Schools, library, YMCA are all close by. Plenty of restaurants and shopping galore, top rated schools, and so much more, and just twenty minutes to our Florida Gulf Coast Beaches. Visit other Cobbs Landing subdivisions: Estates At Cobbs Landing, Pinnacle at Cobbs Landing and Cobb Acres. Selling your Home in the Sanctuary at Cobbs Landing? Are you planning to sell your home in the Sanctuary at Cobbs Landing? Palm Harbor is a very hot and stylish Pinellas County community and attracts people from all over with our top rated schools, beaches and quick commutes to shopping and dinning. We have been working in this area since 2002 and are looking to grow our listings. Call us today and ask us how we can help you make the most out of a possible sale of your home.